In 1998 two Stanford graduate students, Larry Page and Sergey Brin, founded Google.com, a search engine that uses a better technology than had previously existed for indexing and retrieving information from the immense miscellany of the World Wide Web and for ranking the Web sites that contain this information according to their relevance to particular queries based on the number of links from the rest of the Internet to a given item. Scott Prather's The People Generation: Is $600 gaming consoles = Jumping the Shark? I am not sure I would take a $.07 bet on this one because things have surprised me before in this space. What I would take a $.07 on is that Nintendo gains market share, Microsoft stays the same and Sony is the big loser. MS might be the big surprise just because I think they are the only ones focused on the next gen of gaming (look at the stuff they are doing with Peter "he is the king" Jackson). Source: Scott Prather's The People Generation: Is $600 gaming consoles = Jumping the Shark? [Skype chief executive and co-founder Niklas Zennstrom] said: "We have no publicly available products yet to offer and I can't give you a timetable." "When we begun developing the mobile phone version we didn't realize the number of technical obstacles. It is challenging and is taking much longer than expected," he added in an interview with the daily. The move follows an announcement from Sony earlier in the day asking manufacturers using its problem batteries to carry out exchanges. The latest announcement brings the tally of recalled batteries to about seven million world-wide. The rise of these social-networking sites is another sign of the shifting tastes on the Internet, as niche audiences flock to new alternatives to MySpace and Facebook. That potentially spells trouble for those two incumbents, as fickle online audiences can increasingly divide their time between more sites. Indeed, the social-networking space already has shown itself to be vulnerable to the latest fad. Four years ago, Friendster pioneered social networking but was quickly overtaken by rivals as it suffered from technical problems. The new sites -- and their investors -- could benefit if young people similarly get tired of MySpace and Facebook and start to drift away. PBS | I, Cringely . September 28, 2006 - The Buck Stops Where? The whole point of Zune is to stay in the game and to position Microsoft for future success. Remember, it takes Microsoft three tries to get almost anything right, so maybe this time they are actually counting on that. But if Zune is an eventual financial success for Redmond, it won't be through hardware OR music sales, but probably through location-based marketing. Source: PBS | I, Cringely . September 28, 2006 - The Buck Stops Where? The scope of competition in the enterprise collaboration/content server/services market continues to expand... See the full press release for details. Microsoft Corp. today is launching the public beta of Forefront Security for SharePoint® (http://www.microsoft.com/forefront). This latest release of Microsoft® Forefront security products for businesses is based on Antigen for SharePoint Server, the multi-engine security solution acquired by Microsoft as part of the acquisition of Sybari Software Inc. in 2005. Microsoft to Put Zune Experience in Consumers’ Hands on Nov. 14: Zune device to retail for $249.99. Looks like the prices are in the same zone as Apple devices and music purchases, and as Real (or Yahoo! Music Unlimited with the "to-go"/non-PC device option) for the subscription option (see the full press release for pricing details along with a long list of options etc. ); that tells me Microsoft is pretty confident it won't have to compete by being the low-price/loss-leader disruptor. Microsoft Corp. is putting the social into digital music, starting this holiday. Today the company announced that the Zune™ digital media player and online service will be available to consumers in the U.S. on Nov. 14, 2006, just in time for the holidays. The Zune device will retail for $249.99 U.S. (ERP) and will create new ways for entertainment fans to connect and share media experiences device-to-device through the use of wireless technology and new software scenarios. Source: Microsoft to Put Zune Experience in Consumers’ Hands on Nov. 14: Zune device to retail for $249.99. Hmm -- more potential clues about what happened to Kubi; today the Kubi Software home page redirects to Pragmatech, another North Bridge investment portfolio company. Pragmatech is the worldwide leader in improving Sales Effectiveness through personalized communications. Find out how Pragmatech solutions can fundamentally transform the effectiveness of your Sales & Marketing teams. The accusations against Apple were led by French legislators who promote “interoperability” in music –- they feel that music should not legally be sold if it is compatible with only one product. Legislators from several European countries are seeking to stop the sale of Apple-exclusive iTunes and promote music and videos that can be enjoyed on any digital device. Of course, Europeans aren’t the only ones angered by Apple’s monopoly; many in the United States feel strongly about the universal exchange of music, and for the past two years, the European Commission has investigated inflated prices of iTunes in the United Kingdom. Shares of Red Hat Inc., the largest distributor of the open source Linux operating system, plummeted Wednesday, as disappointing second-quarter results, including a slowdown in billings, triggered analyst and investor alarm. Red Hat told analysts in a conference call that billings, or revenue plus change in deferred revenue, grew 23 percent year-over-year; last year, management said billings grew 58 percent year-over-year. MySpace, the social-networking Web site, could be worth around $15 billion within three years, measured in terms of the value created for shareholders of parent company News Corp., a Wall Street media analyst forecast Wednesday. The original Slingbox — the set-top device from Sling Media that pipes programs from your home television across the Internet to your computer screen — is getting some siblings. The company announced three new versions this week, each intended for a different technological need of the television-obsessed public. If E. B. White and Joseph Mitchell had known that their essays would end up on metal platters spinning at 5,400 r.p.m., they would probably have asked for a bit more per word. 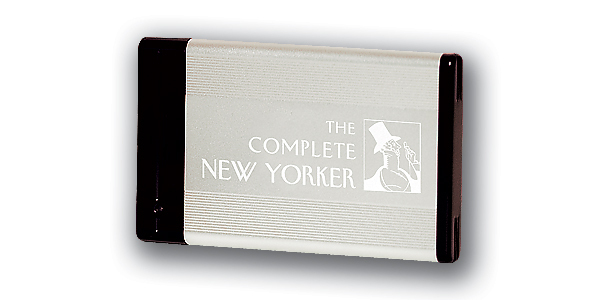 Their writing — along with articles by hundreds of other contributors to The New Yorker — is now collected on one 3-by-5-inch portable hard drive. A new tagging feature which supports a handful of tagging services (and is user extensible to support additional services). Support for the latest version of Blogger (Blogger Beta). We fixed the top 20 customer issues/bugs to smooth out some early rough edges. Writer now has its own space on Windows Live Gallery where a bunch of 3rd party extensions are available (with more to come). Highlights include “Blog This” extensions for both IE and Firefox as well as a Flickr plugin. An Event plugin that we developed in collaboration with Eventful. This plugin highlights Writer’s ability to publish microformats and to use Live Clipboard to flexibly translate structured data into presentation. The company, of New York, said it expects to reach its goal of passing six million homes with a new fiber-optic network by the end of the year. Verizon expects to have signed up 500,000 broadband-Internet customers on its fiber-optic network and 100,000 TV customers by the end of the third quarter, on track to meet year-end targets of 750,000 and 175,000, respectively. Verizon estimated the network upgrade will take a net investment of $18 billion through 2010 and predicted the project will generate positive operating income beginning in 2009. First came the hard-learned lesson that e-mail can be used as evidence in legal proceedings. Now blogs -- basically, continuous public Internet journals -- are emerging as fair game in civil disputes, criminal cases, and government investigations, where they are used as evidence with growing frequency. Amazon.com is selling the computing resources originally developed to handle its own business. CEO Jeff Bezos explained why, after his keynote at the Emerging Technologies Conference yesterday. According to the airline's Web site, travelers may use their Dell and Apple notebooks "once the laptop serial number has been checked by a member of the cabin crew." If the unit is not on the recall list, the owner may use it without restriction. Microsoft Monitor: What Is Wallop's Punch? I guess WPF/E didn't make it in time... Read the full post for more Wallop details. Wallop's approach is unique from the MySpaces of the world, and this uniqueness is both compelling and disconcerting. Uniqueness numero uno is Microsoft, which is a Wallop financial and technology backer. Wallop licenses technology developed by Microsoft Research, which is celebrating its 15th anniversary. Another uniqueness is Flash. Unlike the plethora of HTML-based social networks, Wallop uses Adobe's Flash to create fluidity, motion and, well, neatness. Wallop sites (hereafter referred to as Wallops) are refreshingly clean compared to the garish pages socialites post on some other social networking services. Individual Wallops are cleanly laid out, with content above the fold (or scroll). The approach allows for much cleaner navigation than some other social networking sites, where too much important stuff (how about "friends") is accessible only by scrolling the browser window. Source: Microsoft Monitor: What Is Wallop's Punch? * we try to bring benefit back to content owners by partnering with them. Battelle's book is an excellent review of Google history and strategy -- recommended reading. AOL and a group of entertainment entrepreneurs who created a venture to produce and distribute live concerts on the Internet and elsewhere have dissolved their partnership after just 14 months, executives in the venture said yesterday. The move to unwind the venture, which was called Network Live, came as its co-founder and chief executive, Kevin Wall, announced that he had struck a new deal to produce live events to be distributed through Microsoft’s online service and, potentially, through products like Xbox. The venture with Microsoft will be called Control Room, he said. With this agreement in place, MSN and Control Room will embark upon a deep, exclusive content collaboration, combining Control Room’s expertise in creating and delivering live music events for cross-media distribution with the feature-rich video programming of MSN and its global reach and branded entertainment appeal to advertisers. Further, through this agreement, Microsoft Corp. may stream Control Room shows to other platforms, including Xbox Live®, MSN Messenger, Microsoft® Windows Media® Player and Windows® XP Media Center Edition. Are you ready for laptop storage with no moving parts to spin up, break, drain your battery, add weight, or make noise? That's what you get with Samsung's new 32GB (Solid State Drive (SSD). Built using NAND flash memory, the SSD is the first consumer unit with enough capacity to compete against standard notebook drives; 32GB may not satisfy multimedia addicts, but it's plenty for average business users. Wallop, a startup spun out of Microsoft Corp.'s research lab, is launching the test version of an online social-networking site with the premise that people will want to pay extra to look good. The company, which aims to compete with established brands like MySpace and Facebook, plans to sell graphics and other features people can use to decorate their personal profile pages. ``By the end of 2008, people will install software on their smart drive, and not on their hard drive," said Kate Purnal, chief executive of U3 LLC in Redwood City, Calif., which markets one of the new smart drives. If the new technology catches on, companies would have greater flexibility in assigning computers to employees. Each machine could contain only an operating system, such as Windows software. All other programs would be loaded onto a smart drive, which the worker would keep at all times and use on any computer in the office. Michael's Thoughts: Kubi with Joomla? Source: Michael's Thoughts: Kubi with Joomla? If you’ve got an Xbox 360, did you know that you can hook up your Windows Live Space with your Xbox Live account? We’ve got a number of modules that actually pull information in real-time from your console and display it on your space. You can add your GamerCard so everyone can see your GamerScore and Reputation, and the Last Played Games module shows the world which hi-def Xbox 360 games you’ve been spending your time with. There are also Xbox 360 Themes to give your Space that complete Xbox look. If you spend a lot of time on the go and are looking for a way to keep up to date with all the latest news and information, then NewsGator Go! is just what you are looking for. NewsGator Go! gives you the ability to track and manage all your RSS content on your Windows Mobile device. Best of all, when you read something on your mobile device or clip an article from your mobile device that action is then synchronized with all NewsGator products. But fans and analysts were united in the view that the PS3, despite the superiority of its technology, has failed to demonstrate its “wow” factor. It will be an expensive, complicated machine, and must make early gains before Christmas to win over the Japanese market, where it will be sold for 50,000 yen (£226). Britain will not get any PS3s until March. It’s a Malthusian problem. The amount of printed material increases exponentially, but the time available for reading remains static or, in many cases, decreases arithmetically. So once we have decided what to read, the question then becomes, How to read? And the paradoxical answer is, Much more slowly. The earlier decision required Google to stop displaying summaries of French- and German-language articles from Belgian newspapers. Google faces a fine of 500,000 euros ($640,000) for every day it fails to comply with the order to publish the decision. It said it planned to fight the order, issued Friday, as part of a broader argument, set for November, in which it will seek to overturn the initial ruling. “We will now further appeal this measure because we believe it is disproportionate and unnecessary, given the extensive publicity the case has received already, especially while its substance has yet to be debated in court,” Google said in a statement. For better or for worse, Windows Vista is moving full-steam ahead toward a fall release-to-manufacturing and November business availability. Interesting historical recap -- but I think this paradoxical press-bashing by someone in the press conveniently ignores some realities: Apple was essentially dead a decade ago, and the picture was very stark even after Steve Jobs returned (see, e.g., the August, 1997 MacWorld keynote). Many of the modus operandi that got Apple c1996 into such deep trouble are being repeated today. I don't think we've seen the last Apple roller coaster ride. Nowadays, Apple is a media darling. The critics like the company’s direction, and so does Wall Street. Here's the thing. Back in the bad old days a decade ago, when Microsoft was busy integrating Microsoft Internet Explorer (IE) into Windows solely to harm the competition, one could easily make the case for anticompetitive behavior. There's room for debate about whether features such as Web browsers and IM applications need to be bundled and deeply integrated into an OS. Today, however, few could argue that improving the security of Windows is anything but a good idea. In fact, one might describe such changes as mandatory. Um, isn't it sort of weird to have the company with a quasi-monopoly in electronic documents and a company that enjoys participating in a tight oligopoly in anti-virus software making this sort of complaint? Adobe Systems Inc. of San Jose, Calif., has told regulators that Microsoft should be prohibited from building free competing software for reading and creating electronic documents into the operating system, called Vista, according to people familiar with the situation. Meanwhile, officials from antivirus-software maker Symantec Corp. plan to travel to Brussels next week to brief journalists about Vista features that the Cupertino, Calif., company has told EU regulators will undercut rival computer-security-software makers. The briefings are intended to combat a similar public-relations effort by Microsoft, said a Symantec spokesman, Cris Paden. One popular use of social-networking site Facebook.com is to flirt with other members. As it happens, Facebook Inc., the start-up company behind the Web site, has been doing some serious flirting of its own. People familiar with the matter say the company has held separate acquisition talks with Yahoo Inc., Microsoft Corp. and Viacom Inc. over the past year. Now, say some of these people, the start-up is in serious discussions -- again -- to sell itself to Yahoo for an amount that could approach $1 billion. Do you see a scenario where you wouldn't need a database under SAP applications? [Shai Agassi, president of the product and technology group and a member of SAP's executive board:] Long term. How long? Five years? Ten years? I don't want to speculate on that. We'll tell you when we're there. There is speculation, but I don't think we need to speculate on that. For the traditional transactional application right now you need a database. Down the road, you're right … But today? No. With the release of Windows Vista RC1, the product teams are eager to hear what you think. Visit the Windows Vista Scenario Voting site to explore Windows Vista and let the teams know about your experience. For RC1 users, we have created a special voting category called "Is Windows Vista Ready?" Here you can provide your satisfaction on nine overall attributes of Windows Vista. You can also vote on the same nine attributes for Windows XP to compare and contrast between the two. Fulfillment by Amazon (FBA) is a new program that makes delivering your Pro Merchant Program and WebStore orders a snap. You send your new and used products to us, and we'll store them. As orders are placed, we'll pick, pack and ship them to your customers from our network of fulfillment centers. Nielsen/Netratings released their search share numbers for August today, and there's AOL blood all over it. Year over year, 20% fewer search queries have been made on the portal formerly known as relevant. AOL lost .8% search share July to August, sliding from from 6.3% to 5.5%, and are still ranked 4th. Sales of new licenses for database software increased 15 percent, to $576 million. Oracle executives said much of that came from increased sales of add-on products for Oracle’s core database software. Sales of application software, which includes, for example, programs for automating human resources processes and managing inventory, grew 80 percent. Mr. Stimson said that much of the growth was from acquisitions, and that it would take several quarters before a direct comparison would be possible. The deal is notable because Mr. Gore has been an early and visible adviser to the top executives of Google, another Internet powerhouse. Indeed, Google has provided content for regular features on Current’s television network that offer peeks into people’s Internet searches. Motorola Inc. has agreed to acquire Symbol Technologies Inc. for $15 a share in cash, in a deal valued at about $3.9 billion, the wireless-technology companies said. With the deal, Schaumburg, Ill.-based Motorola gains a company well established in mobile-data computing and radio-frequency identification, or RFID, technology. Symbol also is known for its role in spearheading the development of barcode-scanning technology. "Everything is going digital, and everything digital is going mobile," said Ed Zander, Motorola's chairman and chief executive, in a statement. "This transaction significantly advances Motorola's enterprise mobility strategy," he said. Apple is reportedly in talks with Google to offer access to the search giant's online video content via its forthcoming streaming media device. After previewing iTV last week (see "New gadget wirelessly streams your salary to the Apple Store"), Cupertino is reportedly looking to allow users to easily browse the growing number of user-contributed creations hosted at Google Video. GigaOM » Did Warner take a stake in YouTube? Source: GigaOM » Did Warner take a stake in YouTube? The legal action is the most recent example of the news media’s challenging the growing power of Internet news portals run by the large search engines. Increasingly, people are obtaining their news in bite-size nuggets on search engines, and advertising revenue for newspapers is diminishing as a result. Google News benefits publishers, Mr. Collins said, by making it easier for people to find their content and driving large numbers of users to their Web sites. Priced at $99, the Mix Max is set to hit stores in late October, say Disney officials. The device has a 2.5-inch color screen and comes with enough memory to hold six hours of video or about 240 songs. Disney hopes to court kids and parents by keeping the price well below what it would cost to buy a video iPod. While it is possible to download music and videos from sites such as Yahoo and Napster onto the device, Disney also will sell in stores its own movies on postage-stamp-sized memory cards that can be inserted in the Mix Max. The company hopes that eliminating the need to download will appeal to parents. YouTube's new system, announced yesterday and set for release in the next few months, is an ambitious effort to give media companies more control over the video on the site and to address their fears that others will profit from consumers' piracy of their content. The first entertainment company to embrace the system is Warner Music Group. The two companies have agreed that Warner Music will post its catalog of music videos on YouTube and collect an unspecified percentage of the revenue from advertising appearing alongside them. The deal doesn't cover live performances captured on video cameras or other devices, because Warner doesn't own the copyrights to those recordings. USB flash memory drives are experiencing an increase in product failures as a result of quality-control problems, and the wildly popular replacements for floppy disks could be facing other problems related to fragmentation, according to industry experts. Recent Gartner Inc. numbers indicate that 88.2 million USB flash drives were shipped in 2005, and 115.7 million will be shipped in 2006. While these portable nonvolatile storage units don't last forever, single-level cell NAND flash drives are commonly acknowledged to last for an average of 100,000 read-write cycles, which is an infinite amount for most users. Call it a sign of the times, but what is arguably the longest running elite high-tech conference became a thing of the past. Technolgy guru Esther Dyson has quietly put out the word that the 2006 PC Forum, held in March in Carlsbad, California, would be the last. Video site YouTube Inc. plans to announce today an agreement to share revenue with Warner Music Group Corp. for online advertising that appears alongside Warner Music's own videos and consumer-created content that incorporates its music. I'm inclined to agree with Mark Cuban. Apple and Dell laptop owners travelling on Virgin Atlantic international flights are being asked to remove the gadget's batteries before take-off. This will limit laptop use as the majority of seats on Virgin jets are not fitted with power sockets. It may be hard to believe if you still think of Flight Simulator as a slow, complicated and hypertechnical "game" that appeals mainly to aviation buffs. But Microsoft has revamped the software to make it more realistic and showcase the new graphics capabilities of Windows Vista. I wouldn't be surprised if Flight Simulator X — and future games built on its realistic model of Earth — become killer applications that convince millions of people that it's worth upgrading to a Vista PC. RealNetworks Inc. today plans to announce a deal with SanDisk Corp. to sell a digital music device that's specifically designed to work with RealNetworks' online music service, Rhapsody. The move follows one made by Microsoft Corp., which will release a digital music player of its own design this holiday season that will be closely coupled with its own online music service. Korea's Samsung Electronics Co. is working on a similar plan. Westwood-based MicroOptical Corp. (www.microopticalcorp.com) today is disclosing plans to release a version of its Myvu personal media viewer for the iPod. The viewer, which you wear like eyeglasses, resembles Geordi LaForge's thin wraparound frames in ``Star Trek: The Next Generation." You can look over and under the frames fairly easily, so you don't miss a friend passing you by, for example. But I wouldn't try driving with these things. However, the report into the habits of iPod users reveals that 83% of iPod owners do not buy digital music regularly. The minority, 17%, buy and download music, usually single tracks, at least once per month. And how many different devices will consumers be willing to stack beneath the TV? ``There are only so many $300 or $400 devices consumers want to purchase for their living room," says Jeremy Allaire, chief executive of Brightcove, a service that helps media companies generate revenue with their video libraries. ``You've got a TV set, a DVD player, and a game console, and then you've got a free box from the cable or satellite company. I think the market for a wireless media bridge, which is what Apple's iTV is, is still somewhat limited. It needs to be part of some other device before it gets to the 50 million-viewer threshold." Mr. Lapinski said MySpace’s initial popularity came not from word-of-mouth, as is often assumed, but from an intense e-mail campaign. From there, Mr. Lapinski details the already well-known, drama-fraught deal to sell Intermix to News Corporation last year. He describes the current MySpace as more of a marketing tool than a social-networking site. Universal Music Group, the world's largest record company, contends the wildly popular Web sites YouTube and MySpace are violating copyright laws by allowing users to post music videos and other content involving Universal artists. A jilted girlfriend tried to hire a hit man to kill her boyfriend's new love in Arizona after spotting her rival's picture on his MySpace social networking Web page, police said. Thursday roundup: A new hire at InfoSpace, McCaw's latest bet, etc. Craig McCaw is spending a lot of his time these days building Clearwire, the Kirkland wireless Internet company that has attracted more than $1 billion in capital this year. But McCaw's Eagle River Investment has found a new opportunity in Utah. McCaw's firm just led an $11.5 million investment in S5 Wireless, a 3-year-old startup that has developed a low-cost computer chip that can identify the location of pets, the elderly, vehicles, laptops, containers and other items without using global positioning systems or radio frequency identification. Source: Thursday roundup: A new hire at InfoSpace, McCaw's latest bet, etc. 2. No way Microsoft will be sucessfully sued by Creative -- the navigation controls are nothing like iPod/Zen/etc. Hmm -- sounds sort of like the (patented) 1-2-3 Version Manager service. Boardwalktech is tackling the “collaborative” spreadsheet problem where multiple people need to work on the same set of Excel data at the same time while continuing to work in isolation on their desktops. Using a combination of a plug-in for Excel and a patent-pending “tabular” database built on top of SQL Server called the Boardwalk Enterprise Spreadsheet (BES), users can easily specify a range (or multiple ranges) of data that gets dynamically linked between Excel and the database. For Microsoft, this is about more than just a competitor to the iPod, said Mark Anderson, an independent technology analyst. "They're trying to create a new platform and they're a platform company," he said. Microsoft's financial investment in Zune is considerable, and it's not something top executives expect to pay off immediately. In July, Robbie Bach, president of the company's entertainment and devices division, told financial analysts that the company would spend hundreds of millions of dollars over the next several years on the media player. That investment pales in comparison with the billions Microsoft spent entering the video-game console business with its Xbox product line. While the army of silent people wearing white iPod earbuds may indicate otherwise, Microsoft is declaring that a portable music player can be a decidedly social experience. The Zune will be able to play video files and songs in the MP3 format, along with music and video bought through a new service called Zune Marketplace. That service will also have a subscription plan, though Microsoft executives declined to give pricing details. The device will not play content bought from the iTunes Music Store of Apple. And a Microsoft executive told reporters yesterday that a Zune phone was part of the company’s plan for the product line. As anticipated in last week's column, Apple's special event came and went this Tuesday and with the exception of the two HDTV models I predicted, it went the way I said it would. And those big screens are likely still coming before the Christmas season, just as Apple launched three new iMacs last week without putting Steve Jobs onstage. But now let's put this week's Apple event in some context and understand what it is and isn't, because there is a lot happening here. It generally comes down to a word we used to use all the time but haven't much since the Internet crash of 2001 -- disintermediation. Zune is out -- see this page for a press release/fact sheet index and pictures. Pricing and release date (other than "... this holiday season in the United States") tbd. Marking the next big milestone for its Connected Entertainment vision, Microsoft Corp. today unveiled details of the first products to be released under its Zune™ brand. Designed around the principles of sharing, discovery and community, Zune will create new ways for consumers to connect and share entertainment experiences. The Zune experience centers around connection — connection to your library, connection to friends, connection to community and connection to other devices. Timely reality check. There's a subtle dimension to the "Steve Jobs 2.0 = Bill Gates 1.0" themes in this and other recent articles, however -- Microsoft isn't currently doing the "... closed ecosystems built on proprietary, locked-down technologies" model in these contexts, while Apple is. The online video and tv market is wide open right now. Will Apple's iPod/iTunes strategy work as well for movies/tv shows as it did for music? If I was a betting man, I'd give that a resounding NO. There are too many other players - and none of them are as ill-informed and ignorant of the Internet as mainstream music companies were/are. Plus of course Microsoft missed the boat with online music (Zune is a very belated attempt at catch-up), but they won't make the same mistake with video/tv. It'll be interesting to review the next round of quarterly reports from Intuit, Adobe, and others, to see just how much Google is paying for this type of partnership. Google (GOOG) just upped the ante in its desktop challenge to Microsoft (MSFT) The Web-search leader hammered out a deal to include various Google tools in a new version of Intuit's QuickBooks small-business accounting software. The partnership represents one of Google's most aggressive moves into PC desktop software, the market dominated by Microsoft. Can this come as a surprise to anyone? I share Barry's pain -- 4 reboots for 7 Adobe updates (on a single PC) last weekend. Yikes. Geez it seems every time I log on these days Adobe Reader is upgrading something and telling me I have to reboot. Is this just me or is it really so freaking hard to get 7.0.8 that it requires rebooting a zillion times? It takes Nasa 15,000 engineers to keep the shuttle running, for instance, at an annual cost of around $5 billion. That’s one reason the design for Orion is a return to the old model of a space rocket, with a capsule on the end of a giant stack of boosters. Everything about the shuttle is horribly out of fashion, so much so that it’s hard to remember that it was once seen as an engineering wonder. But then, after the crash of first Challenger and then Columbia, and the rising costs and the general sense that it wasn’t doing anything useful, and the related doubts over the International Space Station, whose own costs escalated from $8 billion to $100 billion, the shuttle became an official, all-round flop. And the main reason for that was and is the two terrible crashes. Microsoft's newest keyboards are acting more like remote controls. Models touted Wednesday are an inch thick and boast backlit keys for ease of use in a darkened room; a button that launches Windows Media Center for movies, music and other content; media controls; and a wireless connection that works from 30 feet away. I couldn't agree more -- read the full post for more details. "The Commission understands Microsoft's desire to make Vista more secure than its predecessors," an EC spokesperson said this week. "[The innovation that comes from a variety of security companies] could be at risk if Microsoft was allowed to foreclose the existing competition in security software markets. Less diversity and innovation would ultimately harm consumers through reduced choice and higher security risks." In its quest to catch up to iPod, however, Microsoft has hired an army of musical savants. Like Winn, many on the Zune team come from recording labels, radio stations, or other music companies. They include KEXP DJ Kyle "Kid Hops" Hopkins and Chris Stephenson, another British expat who worked as an MTV vice president in Europe and as marketing head for House of Blues, the L.A.-based chain of clubs and concert spaces. The visionary behind Zune, however, is a native Microsoftie—J. Allard—probably the one man at the company whose hipster credentials are unassailable. Read the full article for more on Allard and his role (in Zune, Xbox, and other stuff). Lots of Microsoft hardware press releases yesterday -- see this page for an index and pictures. With laptop sales up 37 percent1 in 2005 and more than 30 million U.S. households expected to use VoIP (voice over Internet protocol) by 20092, consumers are demanding new solutions for richer communications experiences, even when they are on the go. Microsoft Hardware meets these needs with its expanded digital communications line, which consists of the Microsoft® LifeCam NX-6000 (the company’s first webcam designed exclusively for laptop use), the LifeCam VX-1000, and two new digital headsets — LifeChat™ ZX-6000 and LifeChat LX-3000 — all optimized for use with Windows Live™ Messenger, the world’s largest instant messaging network,3 providing a simple and natural communications experience. Fascinating -- read the full article for details on near-term investment areas. The ambitious founders of Google, the popular search engine company, have set up a philanthropy, giving it seed money of about $1 billion and a mandate to tackle poverty, disease and global warming. When Google Inc. quietly bought a software shop called Android Inc. a year ago, neither the suitor nor the quarry revealed much about the terms of their attraction. Google never said how Android, a 22-month-old start-up that described itself solely as a maker of software for mobile phones, would fit into its grand strategy. Verizon Communications Inc. is taking more of its television technology development into its own hands and relying less on its close partner Microsoft Corp. as the phone company struggles to leapfrog cable in an urgent battle to add TV service to its traditional offerings. Christine Heckart, a Microsoft general manager, defended the company's work for Verizon, noting that her company's software is now running everywhere Verizon's service has been introduced. Microsoft executives say that any difficulties that may have occurred in developing the Verizon boxes weren't out of the ordinary for a project of this sort. They also say the plan from the outset had been for Microsoft to reduce its staff devoted to the project while Verizon would be increasing its own. Ultimately I think this is more about Microsoft's relationships with Cisco and Motorola, as they're the dominant set-top box companies (via their Scientific-Atlanta and General Instrument acquisitions, respectively), at least in North America. GigaOM » Is Steve Jobs Bill Gates 2.0? See the post for more on "the increasing similarity in Bill Gates 1.0 and Steve Jobs 2.0"
The iTV streaming box announcement to me was a Gatesian moment. The device is still in “beta” and is not going to be available for another few months, perhaps longer. Add to this the harsh truth that Steve could only get Disney (like they have a choice) to commit to the iTunes Movie Store; what you see is a Microsoft type strategy of chilling the market with a yet unfinished product, and get everyone scared shitless. The Barons of Redmond used to do it so well, before their empire started resembling the Roman conquests. Source: GigaOM » Is Steve Jobs Bill Gates 2.0? Apple Computer Chief Executive Steve Jobs made a few out-of-character moves as he unveiled a slate of new products on Sept. 12. For starters, he left the trademark black mock turtleneck at home, instead donning a black button-down. The real shocker, though, was Apple's decision to tout a product months before it's due to hit the market. One problem with this: Apple wants people to pay (Apple) for the privilege of watching content they can often get at zero marginal cost from their TV service providers. I think this is ridiculous -- Microsoft improves security in Vista, inevitably disrupting existing 3rd-party security products designed for Windows XP, and the improvements are considered anti-competitive? Maybe they should also force automobile manufacturers to offer cars without those aftermarket-dirsupting built-in security features (such as seat belts and air bags). The competition regulator for the European Union clashed with Microsoft again on Tuesday, this time over security upgrades in the company’s new Windows Vista operating system. The European Commission, the European Union’s executive arm, warned Microsoft against foreclosing competition in computer security by tying new security features into its new product, which is expected to go on sale soon, saying that could harm consumers. Apple cited market research yesterday showing that it's now the fifth largest retailer of music in the U.S., after Wal-Mart Stores Inc., Target Corp., Best Buy Co. and Amazon.com Inc. The iPod accounted for more than a third of the company's revenue in its most recent quarter and demand for new video products could help strengthen that business further, analysts say. Apple said users will attach iTV -- a flat, square device that resembles Apple's Mac mini computer -- directly to their television sets and home theater systems through audio-video cables. The device will access audio and video files stored on a user's Mac or PC through a common wireless home-networking technology called Wi-Fi. Users will be able to navigate their movie and music libraries as they are displayed on a television set using an infrared remote control that connects to iTV. At a media event Tuesday, Apple Chief Executive Steve Jobs also showed off a compact gadget, dubbed iTV, that will allow consumers to wirelessly send movies purchased online -- as well as other digital content stored on a computer -- to a television set. It will sell for $299 and be available early next year. "We think iTV will be pretty popular," Mr. Jobs said. "We think it completes the picture." $.07 says Steve Perlman is in this picture somewhere tbd; we shall see... Another $.07 says there will be many vendors in this context during Q1. Looks like a largely non-event to me. Wetpaint -- the build-your-own wiki site -- said today that consumers have used the 3-month-old service to create more than 30,000 wikis. The Seattle company, which I profiled in March, also said that users can now add YouTube videos to their wikis. Consensus seems to be that the event will see the introduction of both the long rumored iTunes Movie Store and touch screen video iPod (see "It's touch-responsive and a big four inches"). But some observers are hinting that Apple may have one other surprise up its sleeve -- a disruptive product that will become the center of a new and aggressive digital home strategy. Flickr has added support for the new version of Blogger in beta! Now you can blog and post photos directly from Flickr to your beta blog. This is something that a ton of you have been requesting, and many thanks go to the Flickr folks for upgrading their site to work with the new version of Blogger. The move, which AOL said it would announce to its members today, follows last month's decision to give away AOL.com e-mail accounts, software and other features once reserved for paying subscribers and remove key reasons for millions of customers to keep paid accounts. Gamers, as fanatical as they are about their craft, have only so much money to spend and their pockets may well be empty by the time the high-priced PS3 becomes available in March-April. No doubt, the first batch of PS3 consoles will go out door quickly but it's the subsequent sales that matter. Looking at it things from a high definition video player perspective, HD DVD already had a huge price advantage over Sony's Blu-ray. The PS3 was going to be a way to narrow the gap. However, that is not going to happen for at least six months now. Meanwhile, in addition to the relatively cheap HD DVD players already on the market, Microsoft will bring out a US$200 plug-in box for the millions of Xbox 360 consoles. In addition, Toshiba just yesterday announced a new three-layer disc technology that will enable HD DVD discs to play on ordinary DVD players. Adobe is set to announce Wednesday that it is launching a photo-sharing Web site in about three weeks. Photoshop Showcase will work with the next versions of Adobe's consumer-targeted photo and video editing software--Photoshop Elements 5.0 and Premiere Elements 5.0--which will both be released alongside Showcase. A breakout new-media company here is changing the art of storytelling through the convergence of computing, graphic design, audio, video, text and the Internet. How it invents techniques to use these platforms, and who it recruits to do that work is a journey that large media companies should watch. Facebook, the popular social networking Web site that has mainly focused on college students, is preparing to open its membership to everyone. The move is meant to help the site expand, but it risks undercutting one of its attractions: it has been more exclusive and somewhat more protected than MySpace, its larger and more freewheeling rival. An updated edition of the venerable game, scheduled to be introduced on Thursday, will include tokens that are styled after name-brand products. Five of the eight tokens in the new Monopoly Here and Now edition will be branded, offering game players the chance to be represented by miniature versions of a Toyota Prius hybrid car, an order of McDonald’s French fries, a New Balance running shoe, a cup of Starbucks coffee or a Motorola Razr cellphone. Zuckerberg told The Associated Press on Thursday that Facebook was working on giving users additional privacy options. The safeguards let users block from feeds entire categories -- such as changes to the groups they belong to -- while still allowing people to observe such changes by visiting the profile page. The options were started Friday and essentially let users block all types of feeds if they want. Zuckerberg said Friday such options should have been offered from the start. See the article for more details (inlcuding some reasons Don Norman thinks Apple went too far). See the article for speculation about what Apple may introduce tomorrow. Meanwhile, in the Amazon Unbox context, I'm assuming Amazon and Microsoft opted to optimize for Windows XP Media Center Edition and Vista PCs; either would make streaming video much simpler. According to Steve Perlman, a former Apple engineer who founded Moxi Digital in 1999 in an effort to create an integrated set-top box for the living room: “The ‘last mile’ problem of delivering broadband to the home has largely been solved. What remains is the ‘last hundred feet’ problem.” By that, he meant reliably delivering high-definition video to television sets using Internet-based technology. I think the yet-to-be-published article in this context (at least as far as I've seen) is about how the shuttle has provided a multi-decade case study in worst-case bureaucratic management. Officials at Lockheed Martin say the Orion crew vehicle, NASA's Moon-bound successor to the space shuttle, will combine retro-1960s and cutting-edge aerospace technologies. To join the club, you answer a few questions, upload a photo or two, and voilá, you've got a MySpace profile. Although the site started out as a place for musicians and artists to connect with one another, it has gradually morphed into an online hot spot, and its popularity now easily dwarfs that of others of its kind. The site currently has more than 100 million profiles, with 230,000 new members signing up every day. In August, MySpace accounted for 81 percent of visitors to leading social-networking sites, according to Hitwise, a market-research company. Facebook, a site that's popular with college students, came in a distant second, receiving just 7.3 percent of social-networking traffic. Via David Farber's Interesting People list. 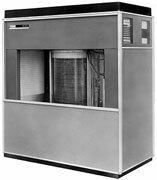 This computer would be "trained" to pick up suspicious behaviour, said Catherine Neary, of Bae Systems, one of the British participants in a £24 million European Union project Safety of Aircraft in Future European Environment. Timely snapshot. BTW I haven't yet figured out how to stream Amazon Unbox videos from my PC through my Xbox 360 :(. No wonder people are looking for something better. After years of lackluster sales, specialized ``media center" PCs are beginning to catch on with consumers. These machines let users record cable or satellite TV shows for later viewing, and create an index of recorded music and video files. Users can even punch up their favorite tunes and movies with a remote control device like those used for a standard television or stereo. Read the article for details on how Facebook has responded to user protests etc. That threshold was reached, unexpectedly, earlier this week when the social networking site Facebook unveiled what was to be its killer app. In the past, to keep up with the doings of friends, Facebook members had to make some sort of effort — by visiting the friend’s Web page from time to time, or actually sending an e-mail or instant message to ask how things were going. Facebook’s new feature, a news “feed,” does that heavy lifting for you. The program monitors the activity on its members’ pages — a change in one’s relationship status, the addition of a new person to one’s friends list, the listing of a new favorite song or interest — and sends that information to everyone in your circle in a constantly updating news ticker. Imagine a device that monitors the social marketplace the way a blinking Bloomberg terminal tracks incremental changes in the bond market and you’ll get the idea. The client is a .NET Framework 2.0 application -- interesting. Unbox does do iTunes one better by allowing up to 5 PCs to watch purchased videos. Portable Media Players are supported by means of an extra file included in all purchases, which is a specially encoded version of the video that the Unbox software can transfer to supported players like the Creative Zen Vision:M. Because the software is Windows only and the videos are all .wmv format, iPods are out of the question, another serious downside. Still, I can say at least this much about Vista: I've had fun using it so far. Yes, Vista is still a work in progress and there are some annoyances that go hand-in-hand with running Windows -- the User Account Control window, for instance, pops up a lot. Why do I have to give an admin OK anytime I want to change the time and date? And what's with the plethora of control panels? By my count, there are 49! But so far there have been no show-stoppers. To paraphrase the praise usually reserved for Apple's Mac OS X, it just works. And on Apple hardware, it just works exceptionally well. This is a powerful application that addresses one of the primary benefit of wikis and online Word clones like Zoho Writer and Writely - collaboration via the Internet. The functionality from the user perspective is very similar to Microsoft Sharepoint Portal Server, which allows business users to collaborate on documents via a centralized Windows server. Unlike Sharepoint, Live Documents doesn’t store any documents on a server, and therefore doesn’t require you to have your own (very expensive) Windows server. Microsoft Chairman Bill Gates has famously called high schools "obsolete" and warned about their effect on U.S. competitiveness. Now, his company has a chance to prove that it can help fix the woes of public education. Read the full article for details on how to join "The Coalition to Stop Facebook, Stalker Edition." By late on Wednesday, more than 500,000 of Facebook's 9.5 million members had signed an online petition calling for the company to back off a feature called "News Feed" that instantly notifies members when friends update their own sites.